The Board comprises up to eight members: the Governor (Chair), Assistant Governor Financial System (Deputy Chair), Chairman of the Australian Prudential Regulation Authority and up to five other non-executive members appointed by the Treasurer. 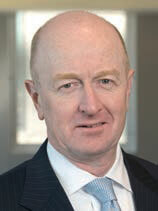 Glenn Stevens has held various senior positions at the Reserve Bank, including Head of Economic Analysis and International Departments and Assistant Governor (Economic), where he was responsible for overseeing economic and policy advice to the then Governor and Reserve Bank Board. He was Deputy Governor from 2001 to 2006. In June 2014, Mr Stevens was awarded a Doctor of Laws, honoris causa (LLD) by Western University in Ontario, Canada. Malcolm Edey has held various senior positions at the Reserve Bank, including in the Economic and Financial Markets Groups. Prior to his current role, Dr Edey was Assistant Governor (Economic). In his current position as Assistant Governor (Financial System), he is responsible for the Bank's work on financial stability and oversight of the payments system. 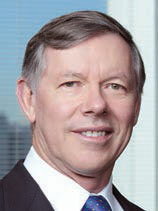 Wayne Byres was appointed as a Member and Chairman of the Australian Prudential Regulation Authority (APRA) from 1 July 2014 for a five-year term. 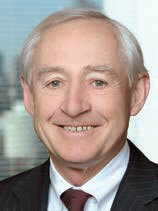 His early career was at the Reserve Bank, which he joined in 1984. He transferred to APRA on its establishment in 1998 and held a number of senior executive positions in the policy and supervisory divisions. In 2004, Mr Byres was appointed Executive General Manager, Diversified Institutions Division, with responsibility for the supervision of Australia's largest and most complex financial groups. He held this role until the end of 2011, when he was appointed as Secretary General of the Basel Committee on Banking Supervision, based at the Bank for International Settlements in Basel. 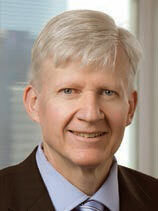 Mr Byres is a Senior Fellow of the Financial Services Institute of Australia. Gina Cass-Gottlieb is a senior partner in Gilbert + Tobin's competition and regulation practice, advising and representing corporations, industry associations, government and government agencies. She has over 25 years' experience, including advising in relation to access arrangements in a range of sectors across the economy. Ms Cass-Gottlieb attended the University of California, Berkeley, as a Fulbright Scholar. 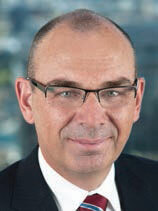 Paul Costello has held a number of roles in the Australasian financial services sector. Most recently he served as the inaugural general manager at the Australian Government's Future Fund and also as the chief executive of the New Zealand Government's Superannuation Fund. Prior to these roles, he spent 15 years in the Australian wealth management industry. The Australian Government has previously appointed him in advisory roles to assist with the Stronger Super regulatory reforms and the Productivity Commission review of the sector. Mr Costello is a Fellow of the Financial Services Institute of Australia. 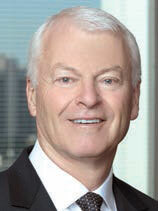 Robert McLean is a company director and private equity investor. He had a 25-year career at McKinsey & Company where he remains a Senior Advisor to the firm, and previously served on the boards of CSR Ltd, Pacific Dunlop Ltd and Elders Rural Services. He was Dean and Director of the Australian Graduate School of Management at the University of New South Wales from 2003 to 2006. Mr McLean attended Columbia University in New York as a Fulbright Scholar. 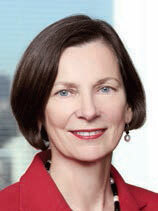 Catherine Walter is a solicitor and company director, who practised banking and corporate law for 20 years in major city law firms, culminating in a term as Managing Partner of Clayton Utz, Melbourne. She was a Commissioner of the City of Melbourne and for more than 20 years has been a non-executive director of a range of listed companies, government entities and not-for-profit organisations spanning the arts, education, insurance, investment, banking and financial services, consumer goods, resources, telecommunications and scientific and medical research. 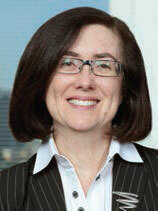 Mrs Walter is a Fellow of the Australian Institute of Company Directors. Brian Wilson was a Managing Director of the global investment bank Lazard until 2009, after co-founding the firm in Australia in 2004, and was previously a Vice-Chairman of Citigroup Australia and its predecessor companies. Mr Wilson was a member of the Commonwealth Government Review of Australia's Superannuation System, the ATO Superannuation Reform Steering Committee and the Specialist Reference Group on the Taxation of Multinational Enterprises in Australia.